Cook in Italy,Italian cooking school with cookery courses and Wine Tastings in Italy in the Marche region, Cultural Holidays in Italy with Art excursions in Le Marche, Tuscany and Umbria. Terradarte, Cooking school in le Marche Italy, Hands-on cooking courses with cultural and culinary excursions in Marche, Umbria and Tuscany. Cooking classes, wine tastings and culinary and art tours. Top accommodation in charming Holiday Home with swimming pool and restaurant in the Marche region,Italy. You are welcome to share our regional recipes and cook with us in Italy, you will explore our traditions, not only in the kitchen but in daily life. We will spend the day together discovering the surrounding, the markets, the villages and the history, all this will become part of our ingredients, and you will learn to cook us an italian playing with all the elements, all this will give you a special touch in cooking and in understanding all the ingredients. Make your holidays an unforgettable Italian cookery experience, meeting new friends, having loads of fun and learning all secrets about Italian cookery! You don't need to be a Masterchef to join the class, learn about cook and wines in Italy! Fun and informal one to seven day Italian cooking classes, learn from Italian chef in his Italian Restaurant, shop local market in the morning and then cook in 8 persons classes, english speaking. Come and join Italian cooking courses as well. We are specialist in offering quality Italian cooking holidays and courses since 1997. You can choose from 1 to 7 days Italian cooking vacation in Italy where you can indulge in yours passions of glorious Italian food and wine tasting! 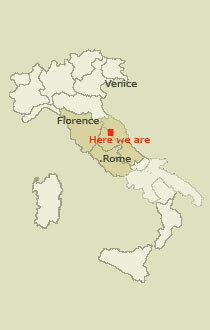 We also have short break cooking holidays from Ascoli Piceno to Tuscany. Come an cook in Italy, join hands on cookery lessons and wine tours with expert chef in Italy with Terradarte.net! As members of the Italian Slow Food association, we take care to use local fresh produce often from our organic kitchen garden and orchard, or from other local farms specialising in cheeses, bread, vegetables; this will be an occasion to meet local producers, and very nice an interesting people. Price Range: Prices from 460€ to 1.250€ per week per person, all included. Here you can still find the real feeling of the Italian pleasure of life and Italian food. 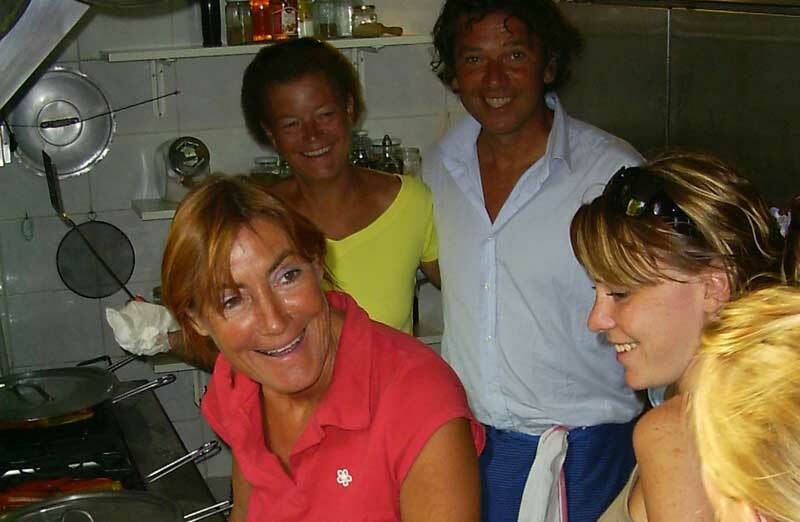 During your Italian cooking holidays you will enjoy guided tours with your English speaking hosts. If you are planning a cooking holiday in Italy and good food, good wine and cooking are your passions than this is the Italian Holiday for you! Join a hands-on cooking course with your own personal Italian chef. Cooking holiday in Italy with Oil mill visit and tastings, winery visits and tastings, real hands-on cooking lessons. If good food, good wine and cooking are your passions, if a gourmet vacation is what you are looking for, learning how to make delicious Italian dishes, enjoying La Bella Italia, this is the solution for you! Enroll now for an Italian cooking course or participate in Guided visits in Cental Italy with Cooking Lessons! Small group tours with max 8 persons and personal, professional guidance. Accommodation at the beautiful Caravanserraglio Countryhouse in the Marche, Italy with swimming pool, in comfortable self-catering apartments. Ciao e arrivederci nelle Marche! Fantastic food. In ours classes, the chef behind the authentic rural italian atmosphere teaches you how to master the fundamentals of cooking. Learn about handling kitchen tools, preparing foundational ingredients and the science behind cooking. If good food, good wine and cooking are your passions, if a gourmet vacation is what you are looking for, then our italian Cooking course is the solution for you. Special cooking courses for families, fantastic children food. 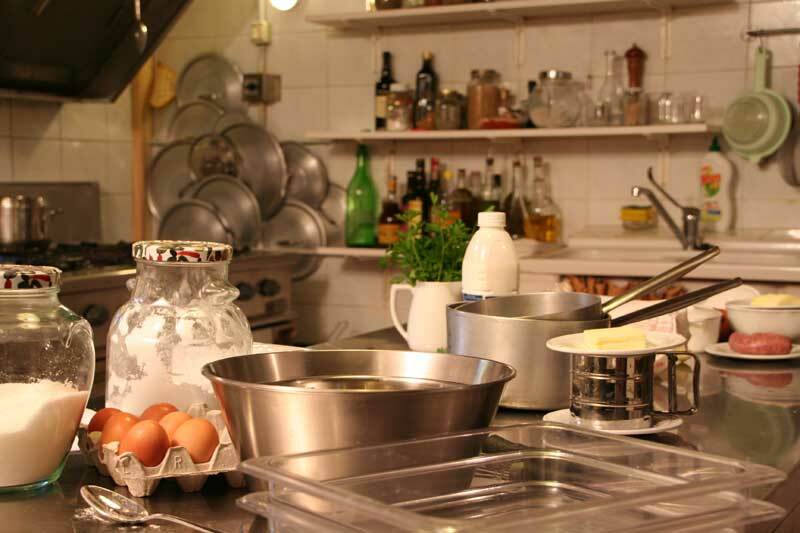 Cooking Vacations in Italy, cookery courses in Italy. You don't need to be a Masterchef to come and learn to cook in Italy, You can come for a single holidays in Italy without extra cost and to meet here new friends. We provide courses in our place and in others fantastic locations like: cooking lessons in Tuscany or cookery courses in Italy for small groups or for singles that they like the idea to meet new friends for an unforgettable vacations in Italy. Here you can visit the 2018 Calendar Courses Italy Cook School , with Italian Wine Tastings and hands on cooking courses, in the Marches Italy. We provide also: Art history tours in Italy, with Italian Art History Courses and Art excursions, Le Marche, Umbria and Tuscany. Truffle Cooking courses, in Marche, Umbria and Tuscany. Walking and trekking Italian Vacations, tailor made with walking around the Sibillini mountains. Cultural Holidays in Italy, Art travel and Tours in Le Marche, Art excursions for a perfect cultural and culinary holidays in Italy . In this Italian cooking holiday you will find special attention for healthy products and dishes from the Mediterranean Diet. Learn about our cooking school , and look for our vacation cooking week course calendar to choose the right cookery programme for you. Ours cooking classes in Italy at Terradarte cooking school in Italy offer more than just a simple cookery courses in Italy: ours cooking vacations in Italy gives our students the possibility to live and to cook together for a week and the ability to cook like an Italian, making pasta by hand, cooking with locally sourced food and enjoy drinking special local wine from the Marches region. For a Dutch version please visit Kookcursussen in Italie, culinaire reis Italie, Kookcursussen in Italië. Wijncursussen in Italie, wijnen tours in Italië. Culturele Vakantie in Italie, Culturele Reis Italie met Kunst Tour. Cursussen Kunst en Cultuur in Italie, Kunst Excursie, in Italie.